← What If Real Estate Contracts Were Like Sports Contracts? As I mentioned a couple months back I joined the Landlords of Johnson County, Kansas at the behest of one of my clients. I’m glad I did. Even if the only meeting I ever go to was my first last evening. There must have been between 75-80 people there last evening to listen to three officers affiliated with the Bank of Blue Valley speak about financial planning, getting your affairs in order and the state of the current economy. I’ll have more to say about that in a post tomorrow. Much more. Believe me. My 43rd birthday is next Tuesday (gift cards are best) 🙂 and I had to be one of the five youngest people in the room. At my table I sat and tried to be as quiet as possible while listening to two couples that had owned investment property for the last 25 years or more. And more than one property. From listening I could gather that one had traded their properties from time to time while another had pretty much sat on the same properties the entire time. This isn’t a post to say one was right and one was wrong. I could easily show you the guy trading every once in a while has assets that would double, triple or even quadruple what the all-time holder has. No. This is a post about networking. About brain-storming. About being part of a mastermind. Yes, I eventually was asked questions and shared the experiences that I have encountered. At our table was another couple (in their thirties?) who owned at least two properties. I couldn’t help but think that besides myself they were probably getting the most out of this meeting before the speakers spoke. One of the reasons we have so many loyal readers here at Kansas City Real Estate Investing is because I know you come here to share experiences. To listen. To learn. To filter through everything to find what you need. Now, I’ve only been to one meeting of the Landlords of Johnson County. But I’ll guarantee you I’ll go back! More than any investment club meeting I’ve ever been to this has real value to real real estate investors. These attendees were people with experience. 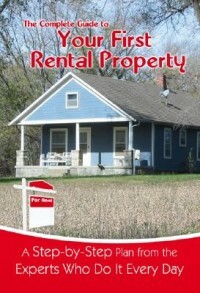 With common sense approaches to owning and managing rental properties. These were people with decades of experience building wealth the old fashioned way. If you are an investment property owner in Johnson County, Kansas (a requirement to join) I would like very much to encourage you to visit their website and consider joining the association. There is so much more I am eager to learn. And I believe I can learn from the Landlords of Johnson County. It was great to bump into you after the meeting. I’ve been to about 4 meetings and have found them all a wealth of information. Just a slight tweak to what you said, people who intend to become landlords (but aren’t yet) can become members of Landlords of Johnson County, all they need to do is to talk to Tess and explain.